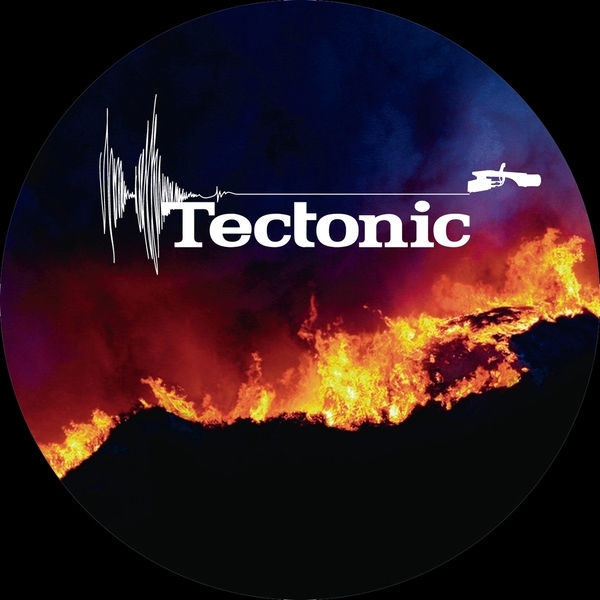 Tectonic invite two scene heavyweights for their latest killer. 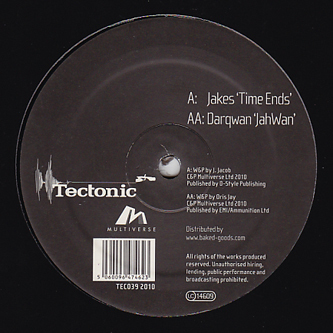 No doubt, Jakes has dipped into his top drawer for 'Time Ends', from the infrasonic sub-levels of the intro through to the rugged tribal steppers riddim, this is a diamond cut beast. On the flip we're in the safe hands of brekastep pioneer and original dubstep figure, Oris Jay aka Darqwan. 'JahWan' feels like a prime 2005 production only with tougher production values making that acid licked bassline rasp like a komodo tongue. Strongback riddims for the ruff and ready steppers.